Victoria Morton (b. 1971, Glasgow, UK) obtained an MFA from Glasgow School of Art (1995), following her BA in Fine Art Painting. Playing with the nature of image construction and the physicality of perception, Morton constructs a “narrative of sensations” in which personal and historical references intersect. 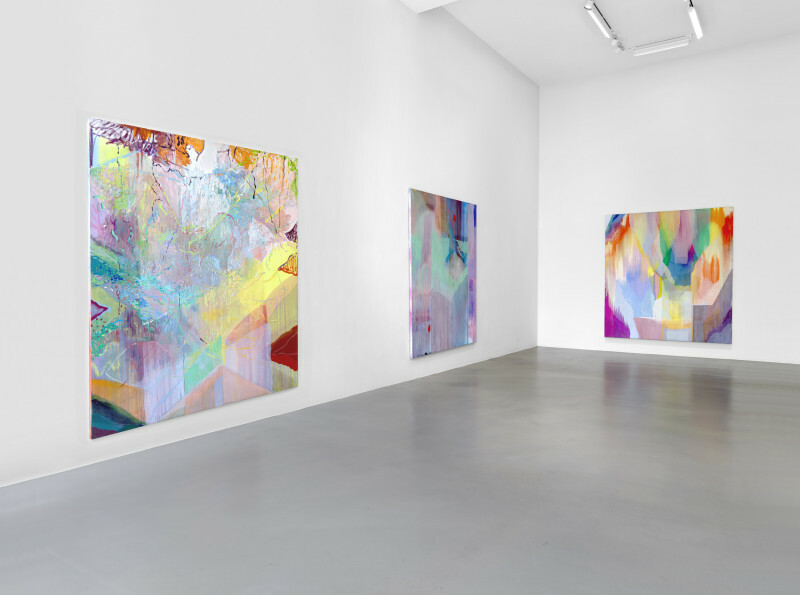 Her paintings teeter on the verge of a readable image, while never crystallising into graspable figuration. Accordingly, the works are full of internal thresholds – floating diagonals, fragile gridlines – running between translucent pools and denser blocks of colour. Veils accumulate on the canvas implying recessive space: a windowed interior or a mountainous vista, ambiguous zones inhabited by almost perceptible body parts. Morton lectures in drawing & Painting at Duncan of Jordanstone College of Art in Dundee, UK.